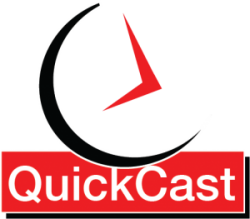 On today’s endurance QuickCast were going to talk about what it means to train in a group whether you are a cyclist, a runner, coach, or a group fitness instructor there’s a lot to be learned about group instruction and how to participate effectively. As usual, I have some notes to share before we jump into the show. Check out our deals page! This show came about due to several conversations I have had in recent weeks with athletes I coach and group rides I have participated in that contained some sort of group structure. I will likely revisit this topic in future shows but it dawned on me that I haven’t covered this topic much outside of shows on training camps. There many types of group training but typically they have some sort of participation constraints. Such as athlete and coach ability levels, facility constraints and pricing. I also see that in the endurance space that most group training comes about as a 1-3 day clinics, boot camps that typically last 1-5 days, or training camps that might last a few days to a few weeks. There are of course exceptions such a running clubs that work with athletes to prepare them through an off-season for an early season race series and of course Cycling Studios that work all winter to raise the FTP of their cyclists. However I think that many athletes look at group training as going to something like a spin class, Zumba, Cross fit, or group circuit training lead by a personal trainer. However, you might be surprised that I would define a club run, club ride or even a large buddy run or ride as group training as well. I would also strongly consider the advantages and disadvantages of group training. So where does the “participating effectively” come in that I mentioned at the start of the show? Well if you are a coach, personal trainer or group fitness instructor you have already been trained to some extent if you are licensed or certified in your respective area of specialization. However, I think the tenants I mention should be the foundation for any group fitness program. For the athletes that are listening to the show, I have one simple question. Why would you bother participating in ANY group training if you are not going to listen, be safe or follow rules and instructions? I more than most understand that everyone is different and that we all learn differently but if you have attention issues it’s critical that you slow down and listen and take in as much verbal an nonverbal information from those leading any type of group training. It’s also critical that if you didn’t understand what is being required of you that you speak up immediately. Your lack of understanding and attention may not just be a hassle to other participants but could also be a real hazard. Let’s consider some examples. At a climbing camp, I am going to cover the rules of the road, the rule of pack riding, communications and pass along any sort of physical conditions to be concerned about. The physical concerns could include but are not limited to weather, road conditions, traffic conditions, rest periods, fueling periods, etc. In a clinic setting, I may do demonstrations on how to sprint, ride in a pack, handle certain obstacles while running and so on. In a training camp like the climbing camp, I will cover many of the same things but will add expected work parameters such as training zones, %FTP, time, distance, etc. When it comes to training athletes in small settings I tackle specific energy systems. I will explain the training factors involved in the workout, the length of the workout, the desired effect the workout should give when executed properly. Then I communicate before we start the intervals, their length, and intensity. Once I begin the workout I will typically give notice as to which interval we are in an how soon before the next interval begins and what the target HR or power or percentage of FTP or Watts Per KG are required. Notes to athletes participating in group training like the one I just mentioned. Going stronger than prescribed is never a good idea. It will separate you from the pack, it will frustrate the lead instructor to no end and create confusion among the other participants. In all these cases it requires discipline on the athletes part to complete the prescription. If you are not going to do the workouts as prescribed you need to ask yourself why are you there in the first place. Social hour, time to show your teammates you are stronger than them, or maybe you can’t be bothered to follow instructions? In any of these cases, you are doing a great disservice to yourself and your fellow participants.